Louis Tyrone Williams was born on the 27th October 1986, in Memphis Tennessee USA, and is a basketball player who currently plays for the Los Angeles Lakers of the NBA. His career began in 2005, and since then he has played for NBA teams including the Philadelphia 76ers and Toronto Raptors. 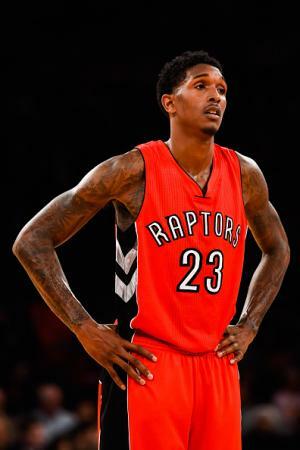 Have you ever wondered how rich Lou Williams is, as of mid-2016? According to authoritative sources, it has been estimated that Lou`s net worth is as high as $9.5 million, an amount he has earned through his successful involvement in the sports industry as a basketball player. Lou was born to Willie Louis Williams and Janice Faulkner, and has a sister and a brother. He first took basketball in his hands while in the South Gwinnett High School, and became one of the best players in his class. He won several awards and recognitions, including the All-State selection all four years, Naismith Prep Player of the Year, and also McDonald’s All-American, among other awards. After he matriculated, he enrolled the Georgia University, however, he immediately declared for the 2005 NBA Draft. Lou was selected as the 45th overall pick by the Philadelphia 76ers, which marked the beginning of his professional career, and an increase of his net worth. In his first year, Lou played in only 30 games, and averaged 1.9 points per games, however, his numbers began to improve from the start of the second season. In 2008, Lou signed a new contract with the 76ers, worth $25 million, over five years, which certainly increased his net worth. He stayed in Philadelphia until the end of the 2011-2012 season, in which he averaged 14.9 points and 4.2 assists per game, becoming his best season in the NBA. He then joined the Atlanta Hawks, but after 39 games for the Hawks, and 14.1 points averaged per game, he injured his knee and missed the rest of the season. In his second season he played in 60 games, and was then traded to the Toronto Raptors for John Salmons, and draft picks. While playing for the Raptors, he had his best season in the NBA, averaging 15.5 points per game, which earned him Sixth Man Of The Year Award. After his contract expired, the Los Angeles Lakers offered him a contract worth $21 million over three years, which he accepted, and it certainly increased further his net worth. In his first season with the Lakers he averaged 15.3 points per game and 2.5 assists. When it comes to his personal life, Lou is a father of two daughters, with partners Ashley Henderson and Rece Mitchell. He has started a basketball camp for the kids of age from 10 to 16, at his high school, and has stated that the camp means a lot to him, giving him the opportunity to thank the community for everything that it has done for him.